The Jump Manual Review (2019)- Increase Your Leap 10 Inches? The Jump Manual Review – Increase Your Leap 10 Inches? If you’re an average person, who works out a bit and otherwise doesn’t spend much time participating in sports, your vertical leap probably won’t concern you. On the other hand, if you are active in sports, particularly football and basketball, you might have some concerns about your ability to jump, and specifically, how high you can jump. Vertical leap is a measure of overall athletic ability, and in basketball, it’s a vitally important skill. 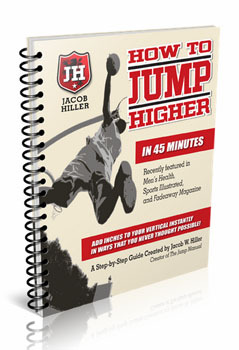 Jacob Hiller, in his The Jump Manual program, says that he can show you how to increase your vertical leap 10 inches or more in just 12 weeks, guaranteed. Guarantees for such things are always interesting, so I thought I’d check it out and see how that works. Plus, I was just curious about the process of increasing one’s vertical leap. Is The Jump Manual a scam? 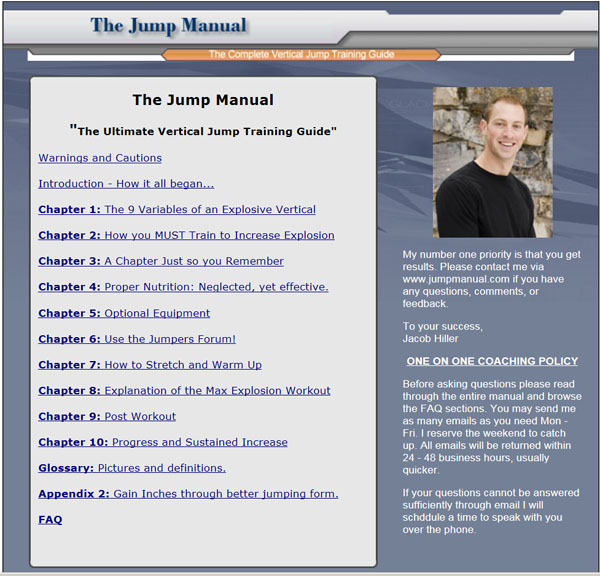 Click here to visit the The Jump Manual Website. Read on for the full The Jump Manual review. 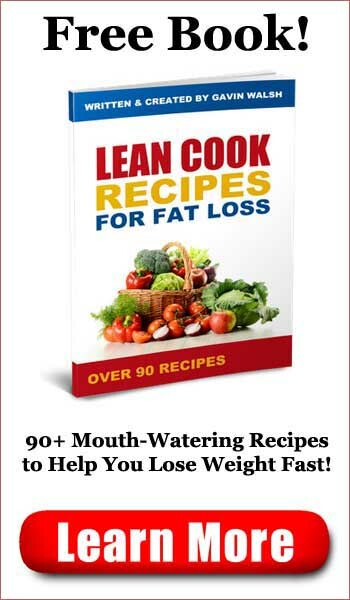 In the health and fitness niche, most products are sold in one of two formats – a downloadable ebook in PDF format, or some sort of video course that can be viewed online, downloaded, or perhaps shipped to you on DVD. The Jump Manual is a different sort of product, and the type of computer you own will determine what you’re offered. For Windows users, The Jump Manual is available as a downloadable exe file. That’s right; it’s a software program that runs on your computer. When you run the program, it will effectively open a kind of browser that will let you read the book as Web pages. The book consists of text with embedded videos to show you how to do the exercises. 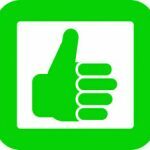 If you’re a Mac, Linux or Android user, you’re given a link to a Webpage where you can view the content online. Honestly, I’m not sure why Jacob Hiller made the two versions, as the online version is far and away the easier of the two to use. Ideally, he’d have just made the book a downloadable PDF with embedded video, but it’s his product and he can do what he pleases with it. If I were you, I’d go for the online version; it’s a lot less troublesome than the Windows software. Chapter 4: Proper Nutrition: Neglected, yet effective. Chapter 6: Use the Jumpers Forum! Those who are eager to increase their vertical jump will likely want to jump right to Chapter 8, which is where you’ll find the workout itself. The Jump Manual strongly recommends against this, as proper warmup and stretching is essential to performing the exercises properly, and they are strenuous. You really don’t want to jump into the workout without being properly prepared, as you’ll likely either hurt yourself or inhibit your ability to improve. Plus, The Jump Manual stresses that it’s important to properly rest after each workout and you want to be sure that you’re fully recovered from the last workout before proceeding to the next one. I’d advise anyone to read the book in full before attempting any of the exercises inside. The basic The Jump Manual program covers a 14 day period, with several days off to recover. Some days will be busy, with as many as seven exercises, and others will just have two. This is important, as The Jump Manual emphasizes repeatedly that you mustn’t overwork yourself. You must be allowed to recover after strenuous exercise, or your body won’t improve. The exercises are designed to accomplish a number of things, from improving your leaping ability to improving your response time. All of these things work together to improve your overall ability. The exercises are explained in full, and each of them is accompanied by a short video or photographs to show you how to do them properly. The Jump Manual also suggests that you use certain dietary supplements, and provides links where you can purchase them. 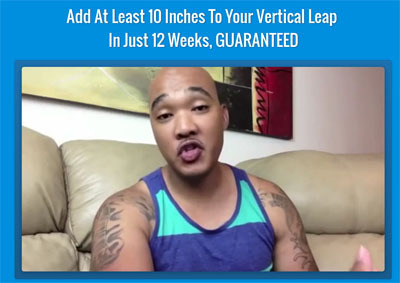 What about the guarantee that you’ll improve your leap by 10 inches in 12 weeks? The Jump Manual is sold via Clickbank, which has a 60 day refund policy. I don’t know about 12 weeks, but you’ll certainly have an 8 week period to get a refund if you find that the exercises in The Jump Manual aren’t helping you. I suspect that they will, as Jacob Hiller and The Jump Manual have been featured on a number of programs, including on ESPN. The exercise program looks like a good one, and these particular exercises appear to be designed to work on the muscles you’ll need to get a better vertical leap. Is The Jump Manual a scam? Much to my surprise, no, it is not. While I don’t care for the exe format of the book, or the fact that the only alternative is to look at it online, the content within The Jump Manual is solid and well-written. The book rightly emphasizes the importance of stretching and warming up, and also emphasizes the importance of adequate recovery time after a workout. The exercises are well explained and you’ll have access to videos to show you how to do them properly. All in all, The Jump Manual is a pretty good book, and it will likely help you to improve your vertical leap within the suggested timeframe. The Jump Manual is recommended. 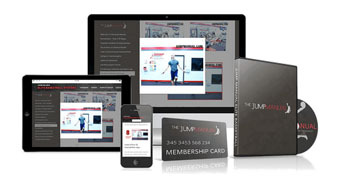 Click here to visit The Jump Manual Website. Get Taller 4 Idiots Review - Grow Several Inches? 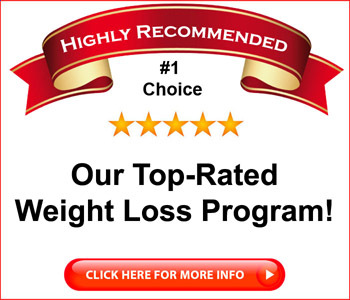 21 Day Metabolic Reset Review - 20 Pounds in a Month?